Mad Decent Block Party started off as a free party in some small nooks and crannies of the world like South Central LA. As time went on, it evolved into a full-fledged production where they had to start charging. 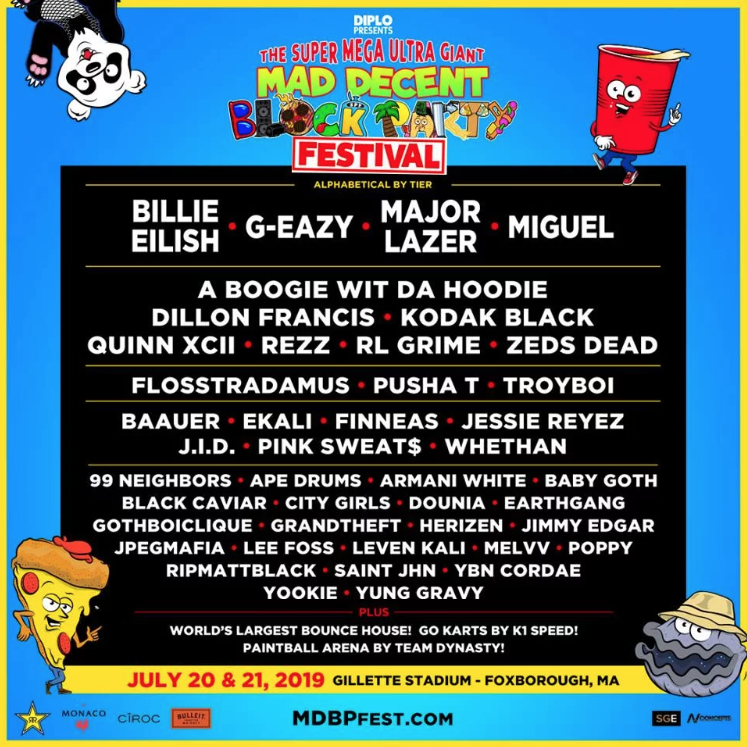 Now we see Diplo’s famous party reach a new stage of evolution: the Mad Decent Super Mega Ultra Party in Massachusetts. This now two-day event will feature the talents of Major Lazer and Billie Ellish. 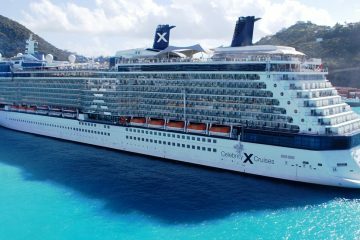 Support will include Dillon Francis, Baauer, Zeds Dead, Ekali and RL Grime among several others, including rappers like G-Eazy, A Boogie Wit Da Hoodie, J.I.D., Earthgang, and Pusha T. In addition to all this, the attractions got a major upgrade. We’re talking a gargantuan 10,000 square foot bounce house, giant ball pits, K1 Go Kart Racing, and paintball! Tickets for this go on sale Friday at 10AM via the festival’s website. 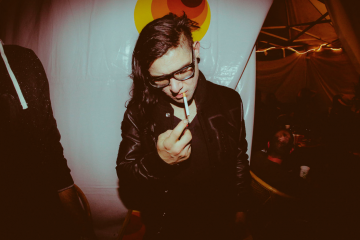 California Officially Raises The Smoking Age To 21+ – Will Festivals Be Forced To Add “Smoking Gardens”?